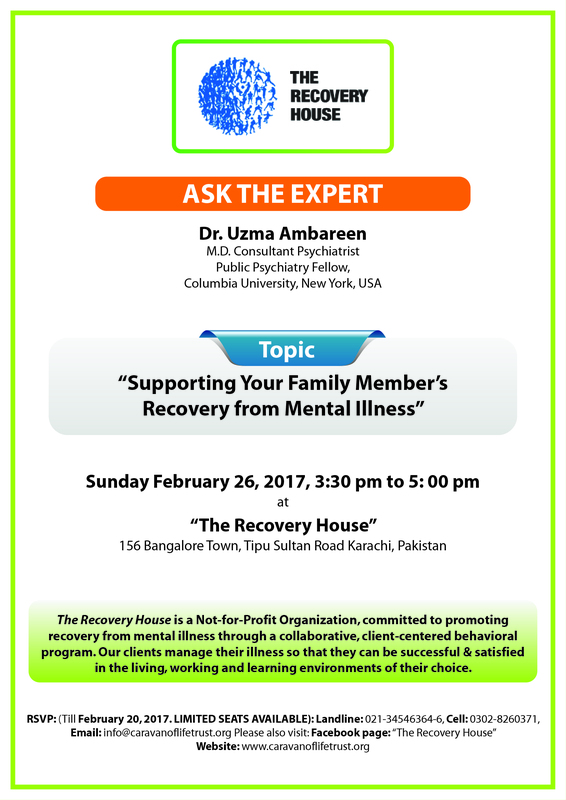 CoL—USA has been providing training in the field of psychiatric rehabilitation in Karachi for more than seven years. Partners in this program include Rutgers University’s School of Health Related Sciences in New Jersey; Trilogy Healthcare in Louisville, Kentucky; Thresholds of Chicago, Illinois; and Drexel University’s Behavioral Health program, Philadelphia, Pennsylvania. A team of certified trainers and a dedicated psychiatric rehabilitation faculty have established CoL USA as the leader in the field of education and training in psychiatric rehabilitation in Pakistan. CoL-USA has established CUPRA to offer a certification training program in Pakistan approved by the Psychiatric Rehabilitation Association of North America, The objective is to develop a Psychiatric Rehabilitation Workforce in Pakistan by offering a comprehensive Training program open to Candidates interested in pursuing a NEW CAREER PATH as a Certified Practitioner in Psychiatric Rehabilitation (CPRP). A distinguished faculty is at the heart of achieving excellence, both in teaching and in training. CoL –USA is privileged to bring on board an exceptional group of experts, renowned in the field, who will play a leading role in educating candidates pursuing the CPRP certification in Pakistan. The curriculum will focus on the competencies required to deliver excellent service & leadership, preparing the candidates to influence significantly the future of mental health care in Pakistan. Psychiatric Rehabilitation uses evidence-based practices to support the living, learning, working, and socializing goals of persons who utilize mental health services. Persons (children, transition age youth, and adults) who have been diagnosed with severe mental illness may have serious impairments, which impact their ability to function in the community without the intervention of skilled/competent practitioners who are recovery oriented. Psychiatric Rehabilitation practitioners believe persons can lead meaningful lives with the least amount of direct practitioner intervention. These services are essential if individuals are to return to their family, work, school or community as productive members in society. Practitioners of Psychiatric Rehabilitation focus on helping individuals with psychiatric impairment develop the skills necessary to access the resources needed to be successful in the living, working, learning, and social environments of their choice (USPRA, 2001). 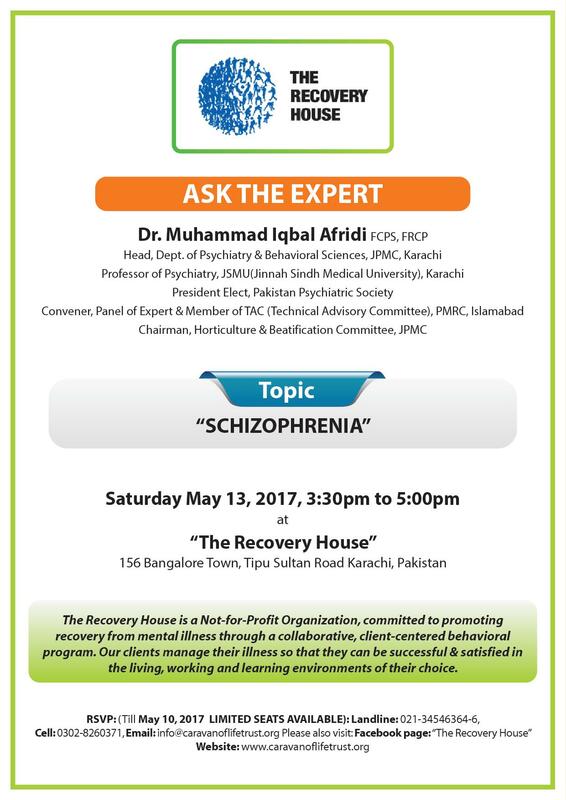 The multifaceted curriculum enables trainees to carry out recovery-oriented practices of psychiatric rehabilitation (PR), and it creates opportunities for professionals to use their previous competencies in clinical practices to further augment the current Pakistan behavioral health system. Trainings are formatted so that each participant will develop skills to implement PR in the community. Trainings will be provided through a combination of varying distance education/ training mediums. All learning will take place in class room style; scheduled group discussion; independent suggested reading & research . 4. TESTING: Participants will have pass /fail quizzes after every session. The pass mark is 80%; candidates failing to achieve this will have the opportunity to retake quizzes 2 more times before proceeding to next session. Individuals of all backgrounds can achieve the CPRP. Currently, CPRPs vary from MDs, PhDs to occupational therapists to peer specialists, social workers to caseworkers – all sharing a commitment to the fundamental principle that recovery from serious mental illness is possible. Registration fee: Rs. 5000.0 Payable to the Recovery House at the time of Registration. Quarterly payments due: Rs. 37,500 per quarter, payable at the start of the quarter to the Recovery House. Exam Registration Fee: $ 395.00 payable at the time of registering for the exam to the Examining authority. Col Pakistan Trust will have limited number of Financial Aid packages available to qualifying persons wishing to enroll in the training program. CoL Pakistan Trust offers four general aid types: Scholarships, Grants, Work/ Employment and Loans. 1. Scholarships: Usually awarded to recognize meritorious accomplishment or special talents & does not require repayment as long as eligibility qualifications and required performance criteria are maintained. This maybe partial or a full scholarship. 2. Grants are also gift aid that does not need to be repaid; they are usually awarded to recognize financial need or economic difficulty. Proof of need & financial difficulty must be established. This may be a partial or full grant based on review of information provided. 3. Part-time / full time work- employment opportunities: These will allow interested candidates to gain a paid position if available at The Recovery House to augment course fees. 4. Loans: CoL Trust may choose to extend loans to selected candidates based on application. Loans are funds that will have to be repaid; repayment options will vary based on the discretion of the training supervisor. 6. The Recovery House Staff application will be given preference for Aid /scholarship. Eligibility will be determined by a Committee headed by the Training Supervisor. Their decision will be final and non appealable. Candidates will be trained in every aspect of Psychiatric Rehabilitation Training meeting all requirements of The Psychiatric Rehabilitation Association including the comprehensive 6 week online CPRP Prep Course providing future CPRPs with 20 contact hours toward their educational requirement and fully prepared to take the CPRP examination. ©2017 Caravan of Life Trust. All rights reserved.